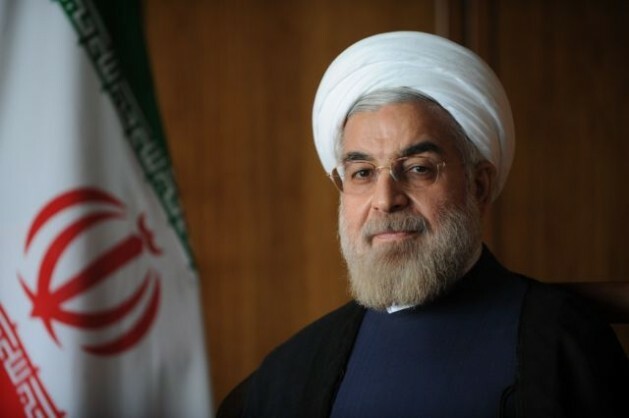 WASHINGTON, Jul 23 2013 (IPS) - The successful campaign of Iran’s President-elect Hassan Rouhani may have been built on the persistence of hope among Iranian voters for a better future. It remains to be seen how effectively the moderate cleric will manage expectations among Iran’s key political factions while fulfilling his campaign promises. Rouhani’s main domestic challenges are related to the economy, Djavad Salehi-Isfahani, a Virginia Tech professor, told IPS. “More specifically, first, to bring down inflation and restore macroeconomic stability given the commitments made by the [Mahmoud] Ahmadinejad administration in the current budget,” he said. “Second, to make progress on the sanctions front to encourage investment to create jobs, and third, to spread the benefits of economic growth evenly, among the poor who voted for him at least as strongly as the middle class,” said the Brookings non-resident senior fellow who was in Iran this June. “Rouhani’s challenge is to bring tangible improvements in the next year or two, before the patience of those who voted for him runs out, so he can demonstrate that a moderate government who is willing to engage with the outside world can better deliver on prosperity than the populist isolationists,” Salehi-Isfahani said. A successful overhaul of Iran’s economy will rely heavily on negotiations with key world powers over its controversial nuclear programme. “With Dr. Rouhani there is real opportunity for gaining some positive momentum for at least trying to deescalate the nuclear crisis,” said Ali Vaez, a senior analyst at the International Crisis Group, at a Wilson Center event here on Jul. 22. Vaez was less optimistic about prospects for Iran achieving the substantial sanctions relief it needs to battle its economic troubles. “The sanctions currently in place on the regime are an intricately woven spiderweb… [that is] extremely difficult to untangle,” he said. Rouhani’s unexpected victory would not have been possible without pivotal backing by reformist and centrist leaders. “The implosion of the conservatives in the June election will likely lead to a reshuffling of elite alliances in Iran,” Kevan Harris, a Princeton sociologist, told IPS. “If Rouhani’s win results in a new coalition of centre-right and centre-left politicians and their social bases, then we could see shifts in both foreign and domestic policy,” said Harris, who was in Iran during its election. Nicknamed the “diplomatic sheik” during his service as Iran’s chief nuclear negotiator from 2003-2005, Rouhani has promised to reroute the country from the path it was put on during the presidency of Mahmoud Ahmadinejad. “Our main policy will be to have constructive interaction with the world,” said Rouhani during his first press conference as president-elect on Jun. 17. While Iran’s Supreme Leader Ali Khamenei said on Sunday that the U.S. is “not honest in their dealings” and he was “not optimistic” about bilateral talks with Washington, he did not rule them out. “We’ve always believed and continue to believe in interaction with the world but the important point is to understand the other party and determine its goals and tactics, because we will be tripped up if we don’t understand them correctly,” Khamenei said in comments posted on his website late Sunday. Washington experts are meanwhile urging a cautious approach toward Iran’s new administration. “This distrust of Iranian moderates has very deep roots [in Washington]…It won’t be overcome easily and it’s not inherently contradictory for an administration that does in fact seek to use diplomacy to have a certain degree of scepticism,” said Suzanne Maloney, an Iran expert at the Brookings Institution, at Monday’s Wilson Center event. “Those who are expecting this sort of big sanctions relief are creating expectations, particularly among the Iranian people, who are only going to be disappointed when and if we don’t see them on Aug. 4 [Rouhani’s inauguration] as some dramatic gesture from Washington,” said the former State Department policy advisor. While Washington’s response to Rouhani’s election victory was lukewarm at best, advocates of engagement with Iran received a boost last week. That was reflected by the fact that 131 members of the hawkish Republican-led House of Representatives – including a majority of House Democrats – signed a letter to President Barack Obama urging him to “reinvigorat(e) U.S. efforts to secure a negotiated nuclear agreement”. Twenty-nine former government officials and national security experts also sent a letter last week to President Obama urging him to “seize the moment to pursue new multilateral and bilateral negotiations with Iran”. If nothing else, Rouhani’s surprise election, which resulted from clever maneuvering by his prominent endorsers, proved that Iranian politics are unpredictable. “As the third televised debate for the Iranian election revealed, nuclear policy over the past 10 years has not been based in a consistent and broad elite strategy in the Islamic Republic,” Harris told IPS. “If it was all up to Leader Khamenei, then the embarrassments which spilled out between [Saeed] Jalili, [Ali Akbar] Velayati, and Rouhani on live television – and seen by about two-thirds of the country – would never have happened. “I take that to mean Rouhani has an opening, but actual changes in Iranian policy historically have required consensus among several segments of the political elite, not radical attacks from the right or left,” he said. “If Rouhani appoints a few conservatives in his negotiation team or his cabinet, this may be misconstrued in Washington as a sign of intransigence, when in reality this may actually be Rouhani’s way of keeping everyone on board so they cannot later veto his policy initiatives,” he said. Harris told IPS that Obama also faces political challenges at home. “Obama needs a foreign policy win after the messes in Syria and Egypt which took place under his watch, which showed how the U.S. is not the dominant actor in the region though it’s still an important one,” he said. “If Obama’s advisors can make the point that Iranian influence is not the driving factor of every Middle East crisis that the U.S. suffers from, which is a true but not popular sentiment in Washington, then it would be easier to sell some sort of deal with Iran along with a reduction in sanctions to a domestic audience,” Harris said. “But a cold shoulder by the U.S. in the guise of playing hardball is the path of least domestic resistance,” he added.